When I was a little kid we had this old broken guitar, it was some kind of student model electric department store guitar that was very likely made in Japan, that use to be my dad’s. I don’t remember many details like the brand or what exactly was wrong with it. I do remember pretending to wail on it at the age of four or five while I left the NES to play the Battletoads theme on a loop as I jumped from the couch, smacking my fingers against rusted strings, probably doing my best Paul Stanley impression. Now that we have wrapped up our retrospectives on 2015 we can really begin to turn our focus towards everything 2016 has to offer. I’ve made a lot of resolutions for myself this year, ranging from the usual “get in shape” goals to some loftier creative pursuits. One of my resolutions is to keep my eyes peeled wider for new and more esoteric bands. It took a little digging and a lot of sampling but before too long I’ve already found a handful of releases from just this first week of the new year. So, here are a couple solid short releases to get your New Year rolling. Extended Play is a recurring feature covering a handful of short form releases at a time. This is a special, extra-long rundown of the best EPs and Singles of 2015. As always, this is just a sampling of great music. What makes your list? I like short songs. I like short records. I have a hard time watching bands play live for longer than 30 minutes. I can’t watch even a half hour TV show without at least half my attention on my phone or ipad. My already lousy attention span was shorted out this year from having unlimited spotify streaming and 8 hours of robotic operations work a day. There is a lot still that missed my wide angle view of music. Truth be told, I spent most of that time listening to the same records I have for years while also digging into tons of older music that I never really gave much of a chance. Anyway, Justin will be coming through with the best full-length albums of the year, but in the mean time, check out a couple great short releases. For my inaugural “Record Club” post it is only fitting that we take a look at the recently reissued And We Washed Our Weapons in the Sea from DC’s seminal Spazzcore/Mech-Core outfit Frodus. It’s my favorite record of all time, for reasons we will get into later in this post, so you can imagine my excitement opening my door to find this package waiting for me. Ironically, the “certified frustration-free packaging” proved harder to open than a typical LP mailer. Go figure. I drive a lot. I don’t spend a lot of time in the car on a daily basis or anything. I recognize that many people have lengthy commutes and others drive for a living. Some people hate it. I love it. “I Drive a Lot” will be a recurring column covering the places I go and the things I do while I’m away. “I Drive a Lot” is also a song by Starflyer 59. Growing up in a small town in NC meant anything interesting to a teenage sub-culture kid was at least an hour drive away, if not more. The first show I went to as a 14-15 year old required a drive to Greensboro. I would visit Charlotte, Asheville and Chapel Hill by the time I went to college just to see bands I liked. Even once I had moved away to a more cultured area of our state, I went to probably just as many shows out of town as I did at home. It is a grey, cool late summer day just before the seasons change. It has been overcast all day but nothing more than a brief and barely noticeable mist has come down. I called out of work this morning and have spent the better part of the day working on my resume and cover letter, editing and casually bouncing between social media and job searches. 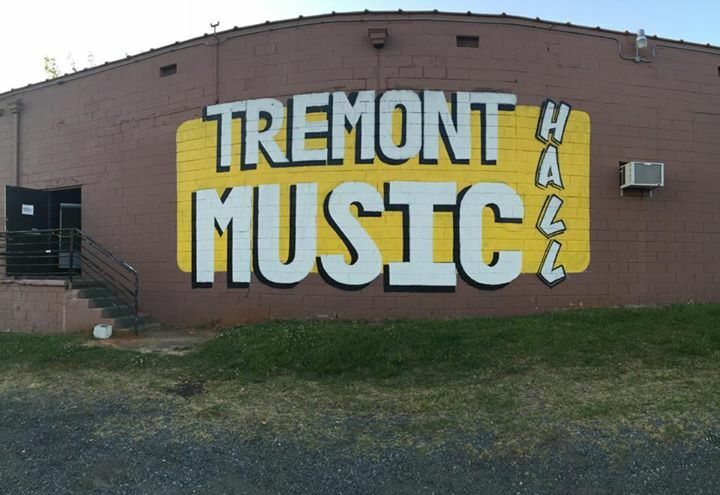 Between the frustrating political posts and editing jobs I’m not qualified for came the disappointing news that the Tremont Music Hall in Charlotte, NC would be closing its doors after 21 years of live music where everyone from Green Day to Ben Folds to Fugazi have played.